Daniele Corsi lives and works in Rome. He graduated in Composition at the Conservatory of Music “A. Casella “‘ of L’Aquila under the guidance of Alessandro Cusatelli and Vieri Tosatti His compositions have been performed in many european states and in America. The Festival Nuovaconsonanza (1997), the Mozart hall of the Philharmonic Academy of Bologna (1997 and 2000), the Istituto Italo-Latino Americano (1998), the Polish Institute in Rome (2000), the International Festival of Alghero ( 2002), the International Festival of Casalmaggiore (2005), the Festival “Nuovi spazi musicali” in 2006, the Austrian Forum in different seasonns, the ARTMUSFAIR in Warsaw in 2010 have hosted some of his works. In 2012 one of his pieces was selected for a series of recordings made in collaboration between the “I Pomeriggi Musicali” Orchestra and the Center for Contemporary Music in Milan (CMC). 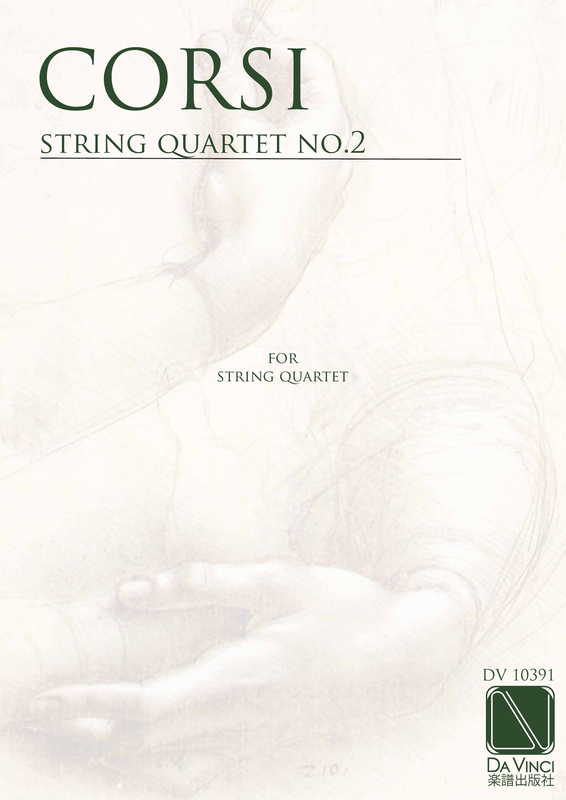 Important ensembles such as the Penderecki String Quartet, Stockholm Saxophone Quartet, CEDAG Quartet, Quartet Paul Klee, I Solisti di Roma, New Made ensemble, the Danish youth orchestra Faust, Roma Tre Orchestra, Venice Cello Ensemble, Duo Harpverk, the group of percussionists Tetraktis, and many soloists such as Enrico Maria Polimanti Michelangelo Carbonara, Edua Zadory, Franco Maggio Ormezowski, Hans Woudenberg, Adam Klocek , Ana Topalovic, have performed his works. In August his chambere Opera “HAKMER” had been performed in Basilicata. The Omaggio performing, an indian dance’s contemporary company will perform its next performance based on some of Daniele Corsi’s works in Mumbay on december. He had his music broadcasted by Rai Radio Tre, Radio Vaticana, ORF and Radio Kalssik (Austria).